ZINFI also received scores among the top three vendors in the partner management (4.4) criterion, partner onboarding, training and service (4.3), and partner performance and incentives (4.4). The recognition of ZINFI’s partner relationship management solution by comes on the heels of another recognition from Forrester in Q2 2018, when ZINFI was named a leader in The Forrester Wave™: Through-Channel Marketing Automation, Q2 2018. To access the complete Forrester Wave™ Partner Relationship Management Q4 2018 report, click here. To access more information about ZINFI’s Partner Relationship Management platform or to download a copy of ZINFI’s best practices guide on Partner Relationship Management, please visit our website at www.zinfi.com. 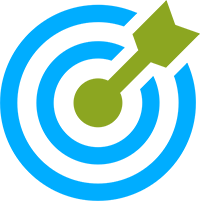 You can also follow ZINFI Technologies on LinkedIn and at the ZINFI Channel Marketing Best Practices blog. Headquartered in Silicon Valley, USA and founded by channel veterans, ZINFI Technologies, the leader in Unified Channel Management (UCM) innovation, enables vendors and their channel partners to achieve profitable growth predictably and rapidly on a worldwide level. 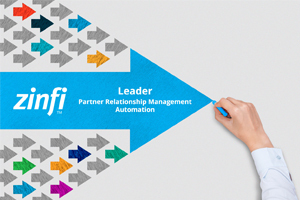 ZINFI’s Unified Channel Management innovation incorporates three core state-of-the-art SaaS applications—partner relationship management automation, partner marketing management automation and partner sales management automation. These solutions enable organizations selling via the channel to integrate the full spectrum of channel partner management activities—from recruitment, onboarding, training and certification to lead management, co-branded demand generation, sales performance and success, and on to fulfillment and renewal management. Powered by the efficacy and superior experience of ZINFI’s UCM solutions, any organization can build a high-performing channel and realize increased ROI from partner sales. We want to talk to you today,…about a more profitable tomorrow. ZINFI Technologies, Inc. the leader in Unified Channel Management (UCM) innovation, enables vendors and their channel partners to achieve profitable growth predictably and rapidly on a worldwide level. Headquartered in Silicon Valley, USA and founded by channel veterans with extensive global channel management experience, we at ZINFI see an immense opportunity to build high-performing sales channels by deploying an easy-to-use, comprehensive and innovative state-of-the-art SaaS Unified Channel Management automation platform that streamlines and manages the entire partner lifecycle through three core state-of-the-art SaaS applications—partner relationship management, channel marketing management and channel sales management. In 26 countries, these three core UCM SaaS applications are locally supported by ZINFI’s global marketing services team members. For more information about ZINFI’s Unified Channel Management platform, please visit our website at www.zinfi.com. You can also follow ZINFI Technologies on LinkedIn and at the ZINFI Channel Marketing Best Practices blog.